Most of the standard power supply come with 2.1mmx5.5mm jack, however if your projects/products need to save a space then the 1.4mmx3.8mm power jack is a way to go. 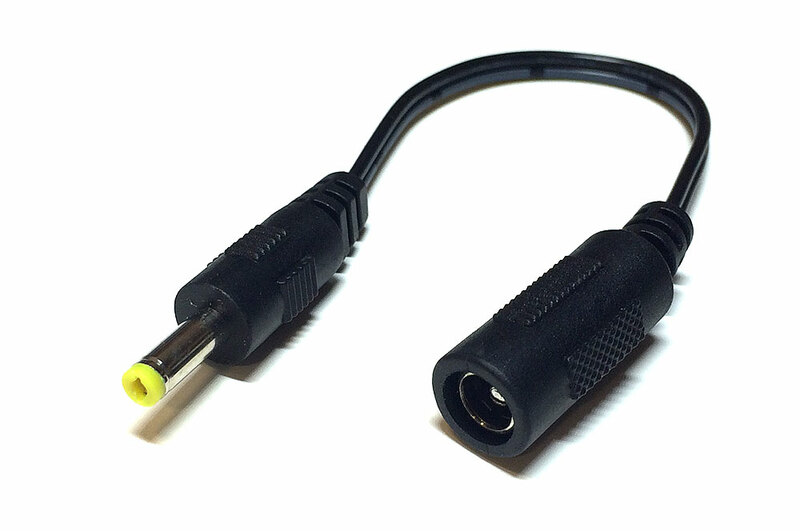 This cable accepts standard male 2.1mm x 5.5mm plugs and converts to a 1.4mm x 3.8mm plug. This cable is a plug (male) on one end, and a jack (female) on the other side. With a sleek black rubber design, this cable look great on any projects.